Posted April 11, 2018 by Apoch. 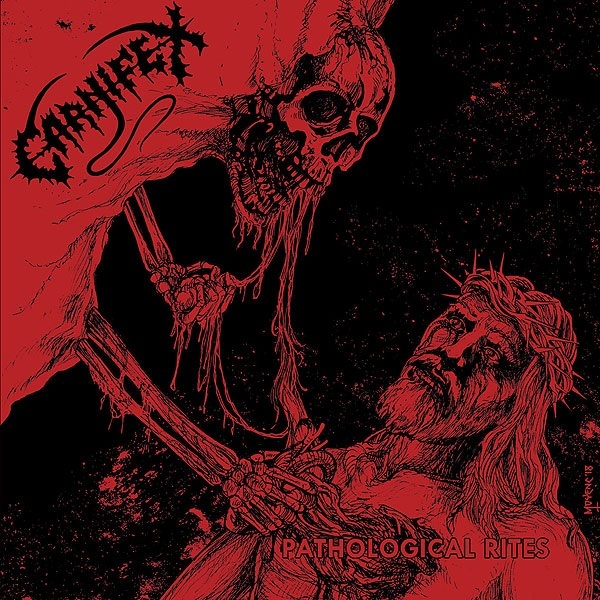 Finnish death metal band Carnifex – NOT the horrible, trendy US deathcore outfit – is going to see all their demo recordings from ’91 to ’93 officially reissued on CD through Xtreem Music under the title of Pathological Rites. 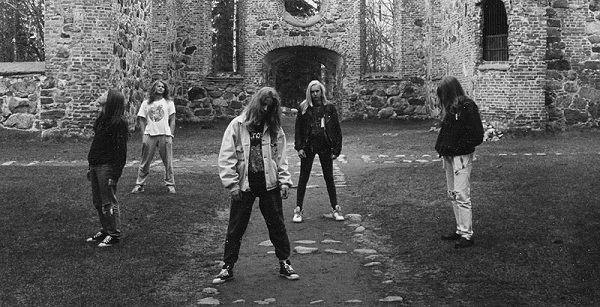 This short-lived band from Finland, like most young Scandinavian death metal bands, lasted four years – from 1989 to 1993 – and recorded three demos, which are now being released with remastered sound, enhanced cover artwork by legendary Chris Moyen (who did their first demo cover back then) and a booklet full of photos, flyers, demo covers, and liner notes. Even though Carnifex didn’t cause a big impact in the scene, this is for sure a good legacy that every lover of good, old ’90s Finnish death metal will need to have in their collection. Release date for Pathological Rites will be May 23rd through Xtreem Music. You can listen to a song from their ’91 demo at Xtreem’s official YouTube channel as well as at the label’s Soundcloud. Press release provided by Suspicious Activities PR.